C.R. "Sonny" Holbrook, III, M.D. Troy A. Burns, M.D. is the Founder and Medical Director of ProPartners Healthcare. He is a 1986 graduate of the University of Missouri - Kansas City School of Medicine and completed an internship in Internal Medicine at St. Luke's Hospital in Kansas City the following year. Since 1987, Dr. Burns has specialized in preventive medicine, corporate medicine, men's health, and urgent care. In 1990 Dr. Burns established a specialty medical practice exclusively for men. The Diagnostic Center for Men became a network of 36 medical practices in 23 states and was the nation's leading provider of medical services for men suffering from sexual dysfunction. In the fall of 2001 ProPartners Healthcare was formed with the purpose of saving men's lives by early detection of disease and helping them adopt healthier lifestyles. Dr. Burns has been a Principal Investigator in numerous clinical research studies in the area of men's health, has authored a long list of educational materials for physicians and the general public on men's health issues, and has extensive public speaking and media experience discussing health topics of interest to men. He is a member of the Christian Medical and Dental Society, is licensed to practice medicine in Kansas and Missouri. Dr. Holbrook joined ProPartners Healthcare in September of 2004. He grew up in Galveston, Texas, attended Texas A & M University, and is a 1982 graduate of The University of Texas Medical Branch in Galveston. He completed an Internship at John Peter Smith Hospital in Ft. Worth, Texas and an Emergency Medicine Residency at Texas Tech Regional Academic Health Center in El Paso, Texas. He is a member of the American Academy of Anti-Aging Medicine, is also Board Certified in Emergency Medicine and practiced Emergency Medicine for the first 20 years of his career. He was a member of the Emergency Department/Trauma Center staff at St. Joseph Health Center in Kansas City from 1989-2004. Dr. Holbrook has an interest in Age Management Medicine. He believes that optimal health can be reached by focusing on nutrition, exercise, and the judicious use of hormone replacement, when medically necessary. He recently completed training at the renowned Cenegenics Education and Research Foundation in Las Vegas, which specializes in and sponsors research in Age Management and Metabolic Medicine. Angela Prato, M.D. is the newest physician to join ProPartners Healthcare. Dr. Prato spent her formative years in Emporia, Kansas, and was active in 4-H. She attended the University of Oklahoma for undergraduate studies and attained a Bachelor's of Science in Zoology-Biomedical Sciences with a Minor in History of Science. Dr. Prato graduated from the University of Kansas School of Medicine in 2015 and completed a Family Medicine residency in Grand Junction, Colorado in July 2018. She is board certified in Family Medicine, a member of the American Academy of Family Physicians (AAFP) and has a special interest in women's health and preventative medicine. Outside of medicine, Dr. Prato enjoys spending time with her husband, Tim, and their adorable 9 month old daughter. She is very excited to be back in the Kansas City metro area and to be joining a practice that prioritizes providing optimal care for patients through the Direct Primary Care (DPC) practice model. Larry Frazier, M.A., is a Certified Fitness Trainer and the Fitness Director for ProPartnersMD. He earned his Bachelors degree in Education from Oklahoma Panhandle State University in 1964 and a Masters degree in History from Central Missouri State University in 1972. Larry joined ProPartnersMD in 2004 and brings 18 years experience as an athletic coach to his position. He coached at Shawnee Mission North High School, Center South Junior High, and Ruskin High School as Varsity basketball, football, and track and field coach. Larry specializes in developing personalized fitness programs to help each of his clients attain their fitness goals. After an initial strength, flexibility, and endurance evaluation, Larry designs exercise programs and then supervises each man's workouts as needed in one-on-one sessions in the gym. Typically, a professionally prescribed exercise program will increase lean muscle mass, decrease body fat and body fat percentage, balance strength, endurance, and flexibility, and promote effective workouts without injury or unnecessary muscle soreness. 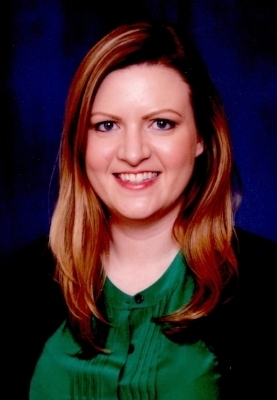 Amy, a Kansas State University graduate with a bachelor’s degree in Dietetics, joined ProPartnersMD in January 2013. With additional certification in diabetes education and therapeutic lifestyle change, Amy has almost two decades of patient interaction and education in the Kansas City area. Amy is passionate about partnering with our physicians and empowering patients to prevent or manage their conditions. She advocates balanced eating, regular exercise and appropriate nutritional supplementation to promote healthy and enjoyable aging. Amy provides counseling for many nutrition-related conditions, and strives to inspire patients toward positive lifestyle choices.